The Chicago-based Balzekas Museum of Lithuanian Culture has announced that the 2018 “Man of the Year” is Marijus Gudynas, diplomat and Director of the Department of Lithuanians Living Abroad at the Ministry of Foreign Affairs, Republic of Lithuania. Most recently he successfully served as Lithuania’s Consul General in Chicago. I spoke with Mr. Gudynas about his recollections of life in Chicago and his vision of a new global Lithuania. Mr. Gudynas, congratulations on being selected by the Balzekas Museum as Man of the Year. I must confess that the news about this award was completely unexpected. I sincerely appreciate this recognition. I will accept it not as an assessment of my efforts but as an acknowledgment of our mutual labors over the last years which involved many individuals who all worked in harmony for our common cause. I think it is vital to highlight the need for unity in our ongoing struggle both in Lithuania and abroad. The love for Lithuania and the desire to contribute to its welfare existed before my tour of duty in Chicago; for me, it was only bolstered during my years there. Although it’s been already a year since you left Chicago, we have not forgotten you, as evidenced by the Balzekas Museum award. In your new position in Vilnius do you still reminisce about Chicago’s Lithuanians? The U.S. and Lithuanian Americans will always have a special place in my and my family’s hearts. We spent five years in Chicago, and it was a tremendous learning experience for all of us. The American understanding of freedom, volunteerism, civic activism, social responsibility, and generosity are all things that I would like to “import” into Lithuania in large quantities. Lithuanians in the US, through their organized effort, have internalized these values. We often speak about the need for foreign investment in Lithuania. Yes, that is important. However, in my opinion, it is far more critical to invest in people who would reform our society and promote civic responsibility. A mature civil society is the backbone of every democratic country. There is much talk about unifying Lithuanians living abroad, as they are scattered over the different continents. I think that we should first focus on reinforcing existing Lithuanian settlements and strengthening their mutual ties; we need to build bridges between them to assure their future viability. These invisible spans will connect us to our homeland. In this way, we can all be involved in the building of tomorrow’s Lithuania, a country of which we can be proud, a desirable place to live and raise a family. We know that other now flourishing states have been created and revitalized through the assistance of their diasporas. Israel and Ireland immediately come to mind, but there are others as well. Lithuania, too, is a diasporic nation; therefore, those of us living abroad have a responsibility to contribute to the development and success of our homeland. The Gudynas Family in Vilnius. From left: Danielė, Marija, Paulina, Karolis and parents Gintarija and Marijus. What is the most crucial component in developing a “global Lithuania” and how are we to minimize the sense of alienation between Lithuania and its scattered settlements? In other words, how do we bridge the division between “us” (in the US) and “them” (in Lithuania)? I am currently responsible for coordinating and implementing the Global Lithuania Program. The Global Program will help develop an ongoing relationship between Lithuania and its diaspora. I am convinced that the most important, essential element is the emotional connection and individual relationship that each person has to Lithuania, as well as the individual’s determination to participate in the development of Lithuania. In the context of the global Lithuanian presence, it is essential to understand that we can work for Lithuania not only by physically returning to it but also by maintaining a strong personal and emotional connection with our homeland wherever we may live. Through our talents, our work, our resources and our contacts, we can actively contribute to the preservation of Lithuania’s freedom, promote its growth, and prosperity. Many of these enclaves have a distinctive relationship with Lithuania and seek to preserve their ethnic heritage through their particular traditions. Lithuanians living on American continents probably have the oldest and most developed tradition of service to Lithuania, but there is no shortage of such efforts wherever Lithuanians live: Ireland, Great Britain, Spain, Asia, Australia and New Zealand, and even the South African Republic. Given a choice among the numerous Lithuanian enclaves the world over, where would you like to live? My personal decision is to live and work here in Lithuania. The country’s history is important to me, especially its struggle for freedom. I am gratified that I can contribute in a small way to this noble effort. My family home is here. What are the most critical issues concerning Lithuanians in the world? 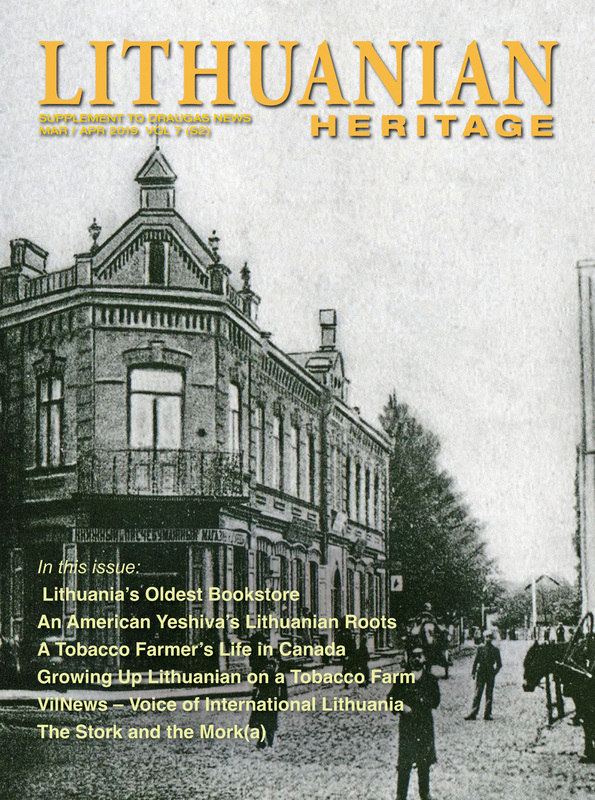 The challenges of the Lithuanian diaspora are not unique when compared to other ethnic groups. Generally, the first-generation’s relationship with its homeland remains strong. However, each successive generation finds it increasingly more difficult to maintain its identity. The identity of children is formed through family life and supplemented by Lithuanian Saturday schools and summer camps. Together with Lithuanian organizations and parishes, they are our community bulwarks, supporting the vitality of the émigré community. The most recent Israeli experience confirms that creating a sustainable relationship based solely on weekend schools is insufficient. In response, the Jewish community has mobilized substantial financial resources, with the Israeli state’s financial support, to create a special fund. This endowment enables Jewish children to visit Israel at least once during their lifetime. In this way, they get to know the country and its culture and thus develop a personal connection to their ancestral heritage, which will remain with them for the rest of their lives. The Lithuanian Foundation and other foundations such as the Kazickas Family Foundation support similar programs. It is vital that children have the opportunity to attend camps and other programs in Lithuania itself. I believe that in the future through such programs, we can make substantial progress in this area. Of course, the ongoing emigration, the so-called brain drain, is a constant challenge for the state. We need to seek creative and the positive solutions to this problem. 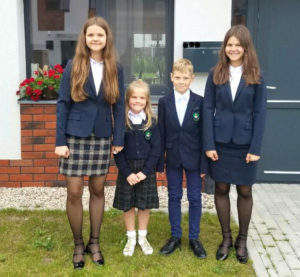 Back to school for the Gudynas children: (from l.) Danielė, Paulina, Karolis and Marija. A year ago, you returned to Lithuania. Do you miss anything from your Chicago days? While in Chicago I made many new friends and fondly recall their sincerity, intelligence, culture, and dedication to Lithuania. 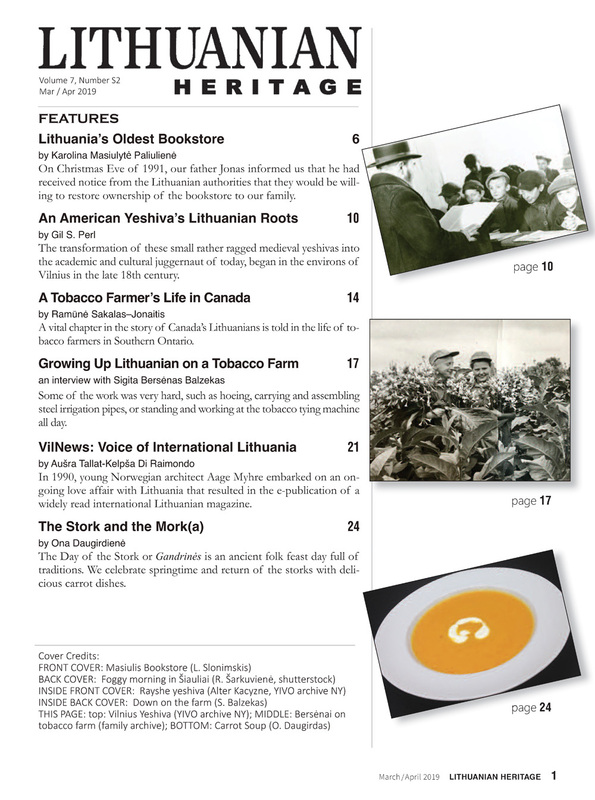 How did you and your family settle back into life in Lithuania? Was it hard to adapt after spending five years in Chicago? Returning home is always easier than leaving. In most cases, you know what is in store for you. Of course, both on departure and on the return one is faced with numerous practical, household issues. Probably one of the most critical tasks for our growing family was adjusting to a different environment and helping the children to re-orientate themselves to a different educational system. My wife Gintarija shoulders these burdens; she took on resettlement challenges, while I immersed myself in work at the Foreign Ministry. Life in Lithuania has a different rhythm. In the morning I go to the city center with my two eldest daughters: I to work, and they to the Jesuit High School. The younger children attend a school near our home. My wife helps the children prepare their lessons and co-ordinates their extra-curricular activities. Her career as a lawyer is currently limited to the provision of private legal advice on a pro bono basis. 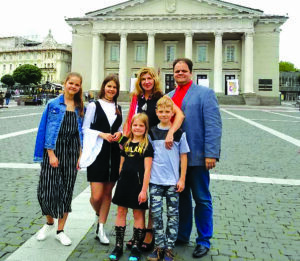 The children are engaged in various extra-curricular activities: Marija is learning German and supplemental chemistry, Danielė – also chose German, and sings in the high school choir at St. Casimir’s Church on Sundays, Karolis dances in a street dance ensemble. We agreed that next year if their school work is satisfactory we may expand their after-school activities: Paulina dreams of gymnastics, Karolis wants to learn computer programming, Marija would like to try folk dancing. What is the most significant thing for you at this time of life? Like everyone else, my family and work are very important to me. After five years of living away from home, I can now visit my parents, brother, sister, their families, and friends much more often. Activities and events in Lithuania abound. My work is satisfying and meaningful to me, especially since I’m blessed to work with wonderful colleagues. What message would you like to convey to your Chicago-based compatriots? 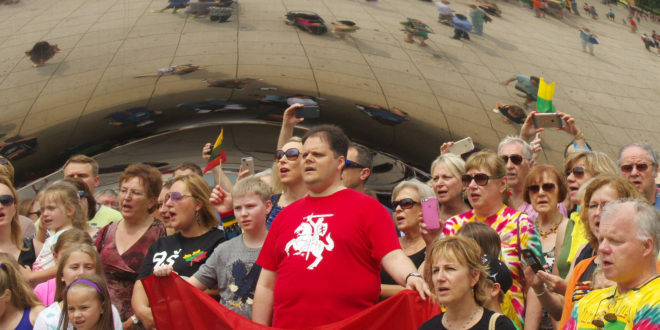 For Lithuanians living in Chicago and elsewhere in the United States, I wish that you not only preserve but also transmit to your children a belief in Lithuania and the Lithuanian spirit. I hope that you all become vocal ambassadors for Lithuania, that you always and everywhere remember your innate responsibility: to be creators of Lithuania. This interview originally appeared in Draugas. It was translated and edited for length.